Saturday was a challenge. My daughter’s 17th birthday, and 17 bright young women descended on the farm to make merry. I had to make pizzas. 20 in all. 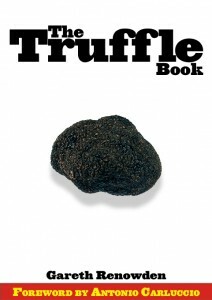 The wood-fired oven got its first use since our mid-winter truffle extravaganza. It takes about four hours to get really hot – pizza hot – when starting from cold. This time, I used the dough recipe from Nikko Amandonico’s La Pizza: The True Story from Naples (excellent book, by the way), with a mix of organic stoneground flours provided (with fresh yeast) by Martin at Canterbury Cheesemongers (excellent shop — can’t leave without spending a small fortune on great cheese). Worked a treat. The dough was pliable and elastic, baking quickly to a lovely crispy crust. The girls seemed to like them, but my sternest critic was the most impressed. “Best yet” was Camille’s comment. I shall bask in the warmth of that praise for – ooh, hours.